General trailers, 6-1 Steering and suspension systems. Excessive wear in and subsequent failure of suspension ball joints can seriously affect the safe handling of the vehicle. To ensure that ball joint wear can be correctly detected, it is important that the vehicle is jacked up correctly, depending on which type of suspension the vehicle is fitted with. 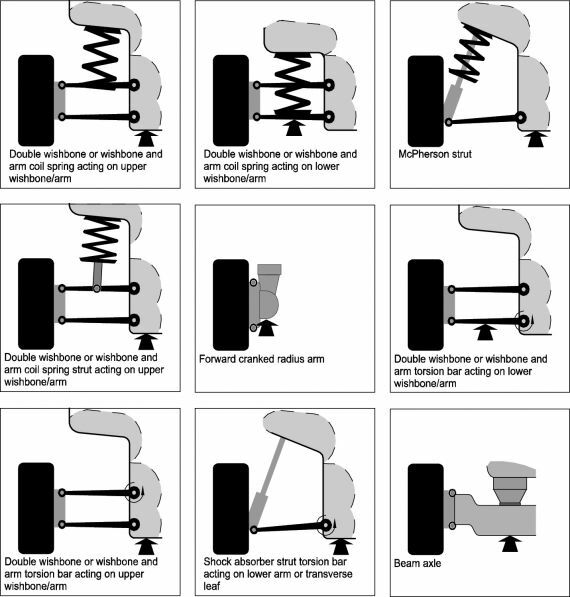 The jacking points for common types of suspension are illustrated below.